Bobble Hat - With its roots firmly in nature, Bobble Hat is a majestic blue. A cheerful colour perfect for any living space. Hobgoblin - An easy-going green with a touch of blue. Hobgobblin is a evocative rich colour perfect for a dreamy bedroom. Delilah - The delightfully flattering coral hue sits between orange and pink. The colour works really well with Hippo Hooray as a contrasting colour. Flutterby - Nearly white but not white, Flutterby is inherently versatile. A tranquil colour that works well with Grasshopper for a fresh 'everywhere' colour scheme. Lady Bug - A rich burgundy, both classy and considered. We like the look of this in a kitchen. Tick-Tock - A timeless shade offering warmth, freshness, light and shade. a great 'backdrop' colour when paired with a stronger contrasting colour like Hobgoblin. Earthborn have listened, and they have delivered. If you love the soft creamy claypaint white and want the same colour on your skirting boards and doors, then you can now get the Eggshell No.17 in the 'White Clay' colour. It's also available in the Lifestyle Emulsion too! For those looking for a brighter white, Earthborn's Lifestyle Emulsion and Eggshell No.17 are both still available in standard white too. We've had fun putting the new colours up on the show room walls, come and have a look! 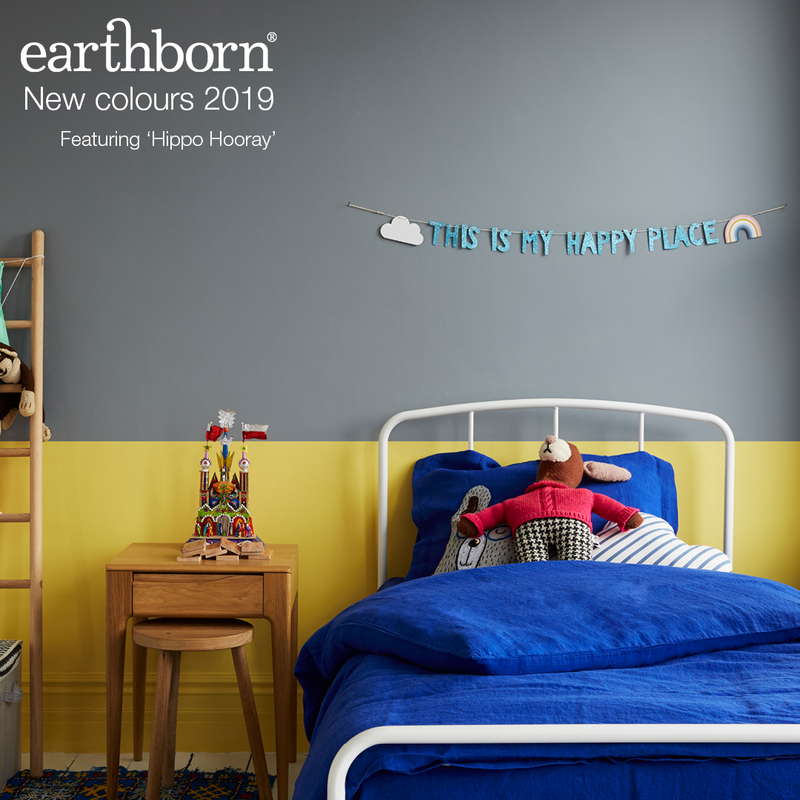 In case you missed it, the 7 colours Earthborn are saying goodbye to this time are Yum Yum, Fruit Salad, Damson Mousse, Button Tin, Riverbank, Dark Cocoa & Picket Fence. Need one of these colours? Don't fret! Just pop in or call us if you need to order more of any of the newly archived colours. Painthouse Paint, how to apply it.